I loved the colors and shadows of these boxes. I don't think I got them all right in value when I painted them, but close enough to like it overall. 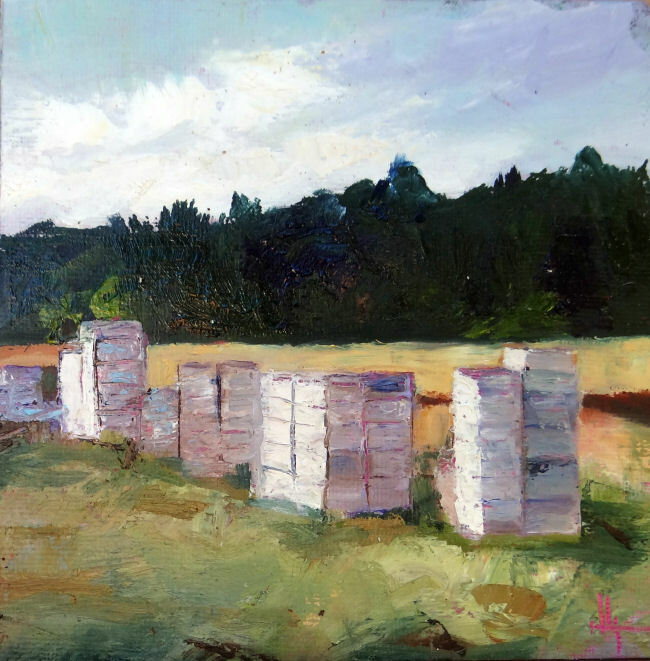 The composition works for me with the angle of the tree line going down and the angle of the boxes going up. Well, maybe that is just in my mind and to an art critic it may be a major fail.